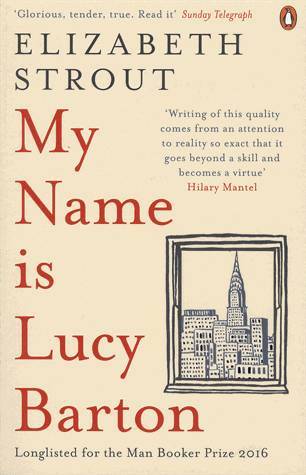 Livre: My Name Is Lucy Barton, Strout Elizabeth, Penguin, Viking Fic Pb, 9780241248782 - Librairie internationale V.O. LONGLISTED FOR THE MAN BOOKER PRIZE 2016 AND THE BAILEYS WOMEN'S PRIZE FOR FICTION 2016. A #1 NEW YORK TIMES BESTSELLER. Lucy is recovering from an operation in a New York hospital when she wakes to find her estranged mother sitting by her bed. They have not seen one another in years. As they talk Lucy finds herself recalling her troubled rural childhood and how it was she eventually arrived in the big city, got married and had children. But this unexpected visit leaves her doubting the life she's made: wondering what is lost and what has yet to be found.